Reach a Year’s Worth of Customers in 3 Days! Bakersfield…For nearly 40 years this has been the best Sports Show in California’s Central Valley. It’s also one of the finest RV Shows in the Western United States. 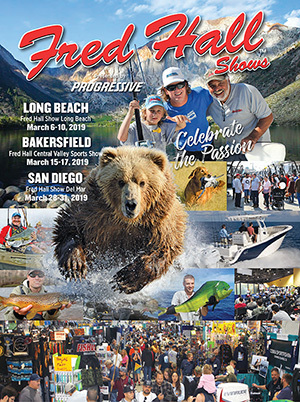 Now as this outstanding event becomes part of the Fred Hall Show family there will be more boats, more fishing, more hunting and more destination resorts than ever before. Dozens of “family fun” activities will continue to be part of this beloved Central California event. The 2016 Central Valley Sports Show set a 39-year attendance record and many of the exhibitors and concessionaires were overwhelmed by the volume of people and simply ran out of food, drinks and products. It’s a very special event!